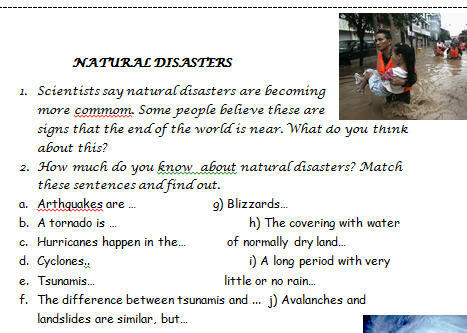 Get to know more about natural disasters. Enlarge your vocabulary about this topic. Teachers can even give their students the chance to interview partners in order to fill in the chart that follows the activity. 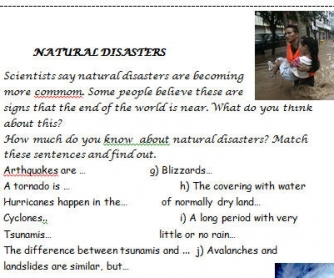 It can be used in paris or small groups, depending on the teacher´s choice.